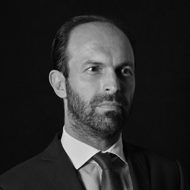 Raul-Angelo Papotti is a partner in Chiomenti’s Milan and London office. He received his Degree in Economics from Bocconi University and his Law Degree from State University. Raul-Angelo also received an LL.M. in International Taxation from the University of Leiden (The Netherlands). He is qualified in Italy as Avvocato and as a Dottore Commercialista. Raul-Angelo advises on all areas of tax law, with particular emphasis on international tax law. He has a special expertise in the taxation of trusts and tax planning structures, advising corporate and private clients alike. Clients include investment banks, private banks, corporates as well as high net worth individuals, families and family offices.